Welcome to a humble guide to the music of Public Enemy, one of the most iconic, innovative, and long-running hip-hop groups in history. This guide focuses on albums, rather than singles. Links to other resources are provided at the end. Credits listed below are accurate to a point; the band tended to skip attribution — and often intentionally obfuscate — who contributed to producing individual tracks and entire albums. Information on available releases is current for the United States as of early 2016, and focuses on physical formats. Public Enemy (PE), formed in “Strong Island” [Long Island], NY, in 1982, emerged at the forefront of “conscious” or “positive” hip-hop. 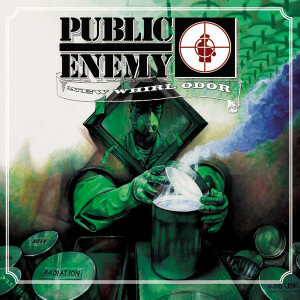 Biographer Tim Grierson wrote, they had “little interest in the materialism and bloodshed that had quickly become two of [hip-hop’s] major selling points.” Instead, PE wrote songs mostly about political and social topics. At the same time their music earned a reputation for being dense and hard, as in the most densely layered in all of hip-hop. At the peak of their fame in the late 1980s and early 1990s, they were deemed controversial by some — partly a conscious strategy — and became embroiled in quite a few scandals — some deserved and some not. As much as they tried to make intelligent music, sometimes looking back it doesn’t seem as intelligent as it aims to be (though usually it is). 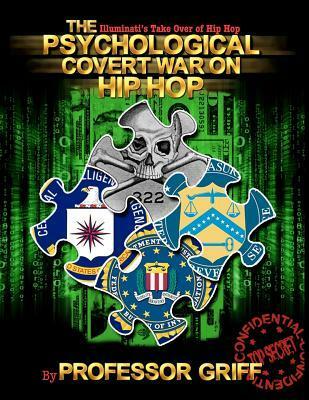 They have survived for decades, innovated hip-hop music and various music production and distribution techniques, and fallen off from widespread public consciousness in later years. Chuck D has engaged in various other projects, from speaking at conferences to TV hosting and more, and Flavor Flav starred in a number of “reality” TV shows (“The Surreal Life,” “Strange Love,” and “Flavor of Love”), a short-lived sitcom (“Under One Roof”) and launched some restaurants (he is a trained chef) that quickly closed. Chuck D has maintained an anti-drugs (including anti-alcohol) approach, though Flavor Flav has had many drug abuse problems and his TV appearances are rather at odds with the core of Public Enemy’s artistic stance. And yet, given that Chuck D has said that Flavor Flav “is the street,” the group’s willingness to include someone from a different sort of background faced with attendant challenges is worthy of respect. 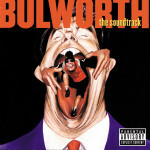 The group was (and is) more than just Chuck (the MC) and Flavor (the hype man), though a self-serving (unaccountable and even hypocritical) opacity falls across much of their work as to who is involved (or not involved) in actually making the music on recordings — the credits that follow are accordingly incomplete. There have been falling-outs, bitter rivalries, members ejected then later brought back, new members absorbed — accounts of those happenings vary widely and former members disagree with a few of the “official” accounts. Technically, Chuck D and Flavor Flav are the band, in terms of who signs the contracts, and the others are their employees. 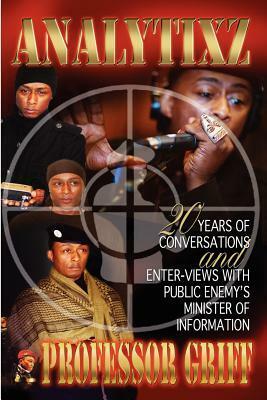 Professor Griff was forced out in the early 1990s, but he returned seven years later. Hank Shocklee was perhaps the major innovator in terms of producing the beats on records from the band’s peak, though a combination of legal issues related to sampling, theft of the vinyl the band used for samples, and differences of opinion about whose contributions made the band successful, he left in the early 1990s. Whether directly related or not, the band only briefly maintained both commercial and critical appeal following that split. And despite all this PE has made good music decades after they formed. Most interestingly, they have taken bold steps to maintain independence from the corporate, major-label music world while still touring and recording. There are few hip-hop acts as long-lived or as deeply beloved by fans. Review: Public Enemy evolved out of a DJ unit called Spectrum City, which was founded by Hank Shocklee in Roosevelt, NY, as well as experiences members had in student radio at Adelphi University. 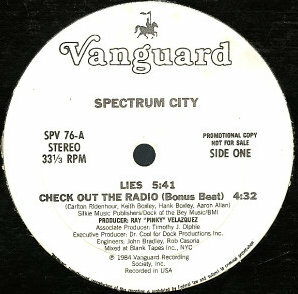 What makes Spectrum City so important to the Public Enemy story is that it allowed Hank and Keith Shocklee and Chuck D to accumulate a massive library of LPs, which they meticulously cataloged. They would later rely on this library to fuel their sample-heavy early albums (until the core of the library was stolen in the early 1990s). Review: Public Enemy’s first album has a different sound than anything else they did, resembling the minimalist, 808 drum machine-driven mid-1980s sound of early hip-hop pioneers Run-D.M.C. While some admire it, and it is certainly a decent effort, this pales compared to what came next. The producers hadn’t yet ratcheted up the density of the music and Chuck D hadn’t locked into his hard-hitting vocal style, rapping about cars rather than politics and social ills. 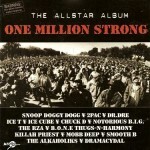 Review: This was the hip-hop album that changed everything. The place to start with PE is definitely It Takes a Nation of Millions to Hold Us Back. There were other bands experimenting with how samples could be used in hip-hop, expanding upon early efforts that could at times seem like merely adding new rapped vocals over familiar instrumental music. PE made a quantum leap forward by making sampled loops only a tiny part of their music. Instead, they took samples and manually committed them to the recording by tapping them in in rhythm, so that subtle variations in the rhythm crept in rather than the mechanical precision of a purely automated loop. They scoured thousands of records to catalog their contents and then researched their record library to find snippets that matched the lyrics of their own songs, to create eerie soundscapes. They incorporated non-musical material, like Jesse Jackson‘s “I Am Somebody” speech from the Wattstax event. They played a clip of a radio DJ dissing their own work, to illustrate resistance they faced, and included live recordings from a UK tour, to illustrate how their work could resonate with audiences. The production team worked tirelessly on these recordings. Having great ideas was necessary to make this album what it is, but great ideas alone, without the tremendous effort put into the recording process, wouldn’t have been enough. Hank Shocklee deserves special attention. He pushed the production team to include atonal elements, and revel in the use of noise over purity and clarity. This was radical stuff. It is common for reviewers to compare experimental pop music to precedents in, say, modern classical and the like. It Takes a Nation of Millions to Hold Us Back kind of leaps ahead of such analogies by presenting concepts that have some of those similarities (obviously, this music does have precedents) but also suggests that pop music might be leading rather than following when it comes to those innovations. This probably fits what the philosopher of science Thomas Kuhn termed a “paradigm shift”. Christopher R. Weingarten wrote an entire book about this album, tracing its cultural influences as well as delineating some of the samples used, and he called it not only the greatest hip-hop album ever but the greatest album ever (period). Even taking that as hyperbole, this is certainly an album whose importance extends far beyond the genre confines of hip-hop. Many of the band’s most famous individual songs are here (“Black Steel in the Hour of Chaos,” “Don’t Believe the Hype,” etc.). MC Chuck D’s lyrics occasionally succumb to misogyny and such, which is a limitation, but those are balanced against what is overall an anti-oppression agenda. That agenda stumbles a few times without really losing its footing. Review: If It Takes a Nation of Millions to Hold Us Back was a break with precedent, Fear of a Black Plant marked a refinement of those breakthrough ideas. PE was expanding on what they had accomplished. This album still has a barrage of samples and lots of aggressive beats. But there is a new steadiness here too, and much more focus on track sequencing and between-song skits and interludes. This was above all an album-length statement, and not just a collection of random, individual tracks. What was less well known at the time was the toll that ongoing success had already taken on the band. Professor Griff had been booted from the band after making (or being pressured to make) controversial comments to the press. But without as much fanfare Hank Shocklee was also out of the picture. In fact, Chuck D coined the name “The Bomb Squad” for the production team to obscure and conceal Hank Shocklee’s departure. 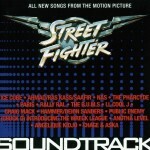 Keith Shocklee and Eric Sadler picked up the slack, but a close listen reveals a slightly less unsettling edge to the productions, with less preference for asymmetric, atonal noise, even if many of these songs had actually been conceived/written before Hank Shocklee slid away from direct involvement and still bear his influence. There are lots of classic songs, especially “Brothers Gonna Work It Out”, but also Flavor Flav’s “911 Is a Joke” and plenty of contributions from Chuck. 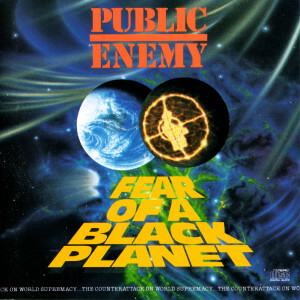 Fans debate whether It Takes a Nation of Millions to Hold Us Back or Fear of a Black Plant is PE’s best album. Suffice it to say, both are essential. 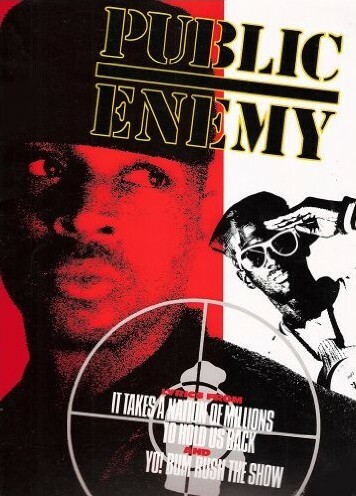 Review: In 1991, Public Enemy was riding a tidal wave of popularity. 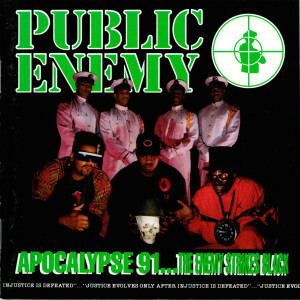 Apocalypse 91…The Enemy Strikes Black was their best-charting album to date. Yet, things were in flux. There was a new production team in place, with Gary G-Wiz being the key newcomer. The legal clampdown on sampling was underway and PE’s label Def Jam was getting nervous and tried to limit what the band could do in the studio regarding use of samples. G-Wiz still managed to develop an effective sound that was clearly more minimalistic than the last two albums but still of a piece with the hard, aggressive beats fans expected. He used a bit more symmetrical, repetitious loops and put a greater reliance on bass. The subject matter of the lyrics was as insightfully provocative as ever, and perhaps more so than before. Some of the songs deal with current events, yet in a way that makes the current events emblematic of more universal concerns. The subject matter still holds interest decades later. “By the Time I Get to Arizona” (the title an obvious nod to Isaac Hayes‘ version of “By the Time I Get to Phoenix”) has Chuck D playing a character traveling to Arizona to assassinate the governor (in reference to former governor Evan Mecham), who had refused to honor the new Martin Luther King, Jr. national holiday for state employees. Governor Mecham had been engaged in white supremacist politics and PE was calling him on it with an appeal to black militancy. There were some massive hits here. But this dips on a few tracks and doesn’t sustain the non-stop intensity of Fear of a Black Planet. Still one of the group’s best, but a half-step off their very best. 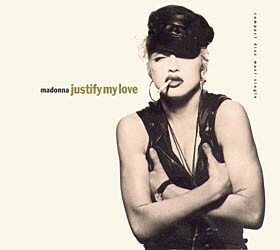 Following the release of this album, new member Sister Souljah was embroiled in controversy for remarks (which she has denied making) about the Rodney King Riots. Then-presidential candidate Bill Clinton denounced her in a manner that became known as a “Sister Souljah Moment”. Like Professor Griff, she would be ejected from the group in the aftermath. While PE seemed to thrive on controversy — and the attendant publicity — they couldn’t or simply didn’t manage these scandals perfectly, and it made things difficult for bandmembers. Combined with the legal assault on the entire genre under the guise of copyright law, the band barely survived. It would be a few years before new recordings emerged. 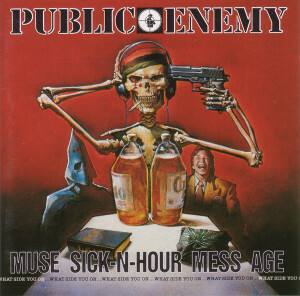 Review: PE switched things up when they released Muse Sick-N-Hour Mess Age, which included few samples and mostly live instrumentation. This might be Flavor Flav’s best album-length performance. He could play a variety of instruments (did you know that? 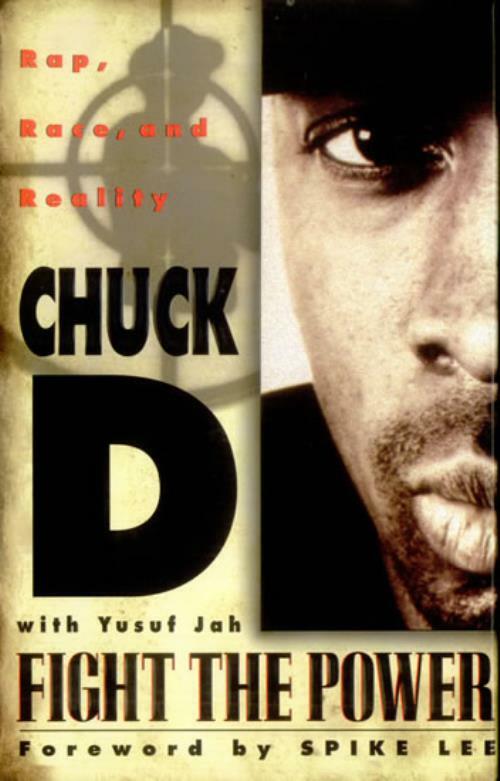 ), and he delivers a pretty good reinterpretation of The Last Poets‘ “The White Man’s Got a God Complex” in “Godd Complex.” Chuck D also sounds pretty great on the mic. His politics were evolving and being refined. His vocals are as good (and tough) as anywhere here. And yet, the album does get a bit monotonous, with the instrumental backing sometimes lacking variety across the whole disc. “Give It Up” was the band’s biggest hit single in the U.S., though it is hardly their best song. So, this was a step down from the great albums of the past few years, but it is still a really good one and worth checking out for fans who have already heard the earlier classics. 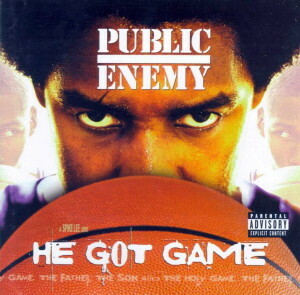 Review: He Got Game was Public Enemy’s second project with director Spike Lee, and this time around they did the entire soundtrack. The album can be seen as either the end of the early era of the band, or the beginning of the later years. As members defected throughout the 1990s, and after a roughly three-year hiatus, this was an attempt to bring the departed back in and perhaps have something close to the original lineup working together again. Allegedly, the project was handed off to Hank Shocklee. A year later, as the final deadline approached, Shocklee had only a single song fully completed, at which point more recent contributors like Kerwin “Sleek” Young, Gary G-Wiz and Abnes “Abnormal” Dubose threw together the rest of the album in a matter of days. Eric “Vietnam” Sadler refused to work with Hank Shocklee, but coordinated work with other producers on some songs Shocklee was not involved with. These accounts don’t always include Shocklee’s perspective though. Yet most of the tracks seem underdeveloped. There are good ideas everywhere, but not all of the beats seem complete, tending toward an economical spareness that seems short of what the lyrics demand. 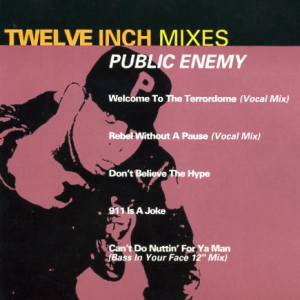 Listener reactions are divided, with critics at the time praising it and moderate commercial sales occurring (this would be the last PE album with any “chart” success to speak of) though many long-time fans consider this a lesser PE effort. Without question, the title track (produced by Hank and Keith Shocklee) is one of the band’s best, adeptly moving into a more R&B-influenced style with a recognizable, melodic sample driving the entire song — an approach that was very popular by this time. The lyrics also hit a perfect balance between an anthemic rallying cry and biting social commentary, tied together with sports metaphors. 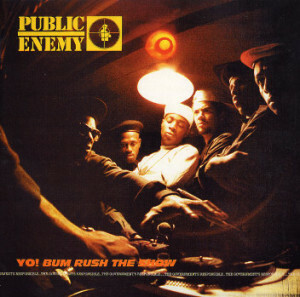 This was the most expensive Public Enemy album to make (it cost over $1 million). The band sort of dissolved in the aftermath, with many questions raised as to where the money went with production this rushed, and Chuck D sort of (re-)asserting himself as the bandleader going forward. Terminator X would leave after the next album, later claiming (contrary to Chuck D’s explanation) that his departure was due to financial hardships imposed on him by Chuck D as retribution for appearing to side with Hank Shocklee amid the infighting. This was the nail in the coffin for any hopes of the original PE lineup ever cooperating again. 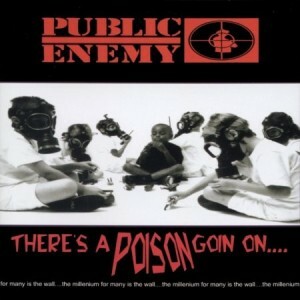 Review: There’s a Poison Goin’ On is the album that He Got Game failed to be. It has a number of songs (“Do You Wanna Go Our Way?? ?”, etc.) that sound a lot like the “old” PE style. But there are also songs (“I,” “World Tour Sessions”) making an effort to adopt new styles, with a slightly more melodic edge and less of a “noisy” veneer, closer to that of newer stars like Wu-Tang Clan. Production is credited to “Tom E. Hawk”, clearly a fake name (a pun on “tomahawk”), though when asked by journalists the band refused to divulge who actually handled the production (venturing a guess, Amani K. Smith is perhaps involved). This evidenced a kind of defensiveness, which was also apparent in the lyrics to some of the songs, which frequently snipe at others and moan about a perceived lack of respect (calling this a “sour grapes” attitude seems fair). This album was notable for being the first — by a major, established act — to be originally distributed for digital download via the internet, on a new label founded to utilize digital distribution. This proved to be a somewhat premature move, given the lack of high-speed internet access at the time (the album was later released in physical formats too). Yet it established a trend toward independence from the mainstream music business that stuck with the group through their later years. In the end, this album falls somewhere in the middle of the pack. Dedicated PE fans tend to like it though it isn’t the place to start. Review: If He Got Game and even There’s a Poison Goin’ On each kept a foot in the past, Revolverlution was more thoroughly a new kind of work that, in its better moments, fully realizes the new aesthetic of the later years with an aggressive hardness provided more by staccato rhythms than raw noise. That said, this is a wildly inconsistent effort, faulted by many for interspersing new cuts with six songs that won a fan remix contest, plus interviews and old live material. This was the group’s first release on Chuck D’s SLAMjamz label (distributed by Koch) and it affirmed a new commitment to independent productions. 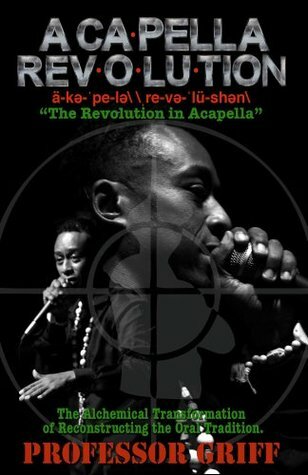 Professor Griff had returned to the group for He Got Game and then permanently for the Smokin’ Grooves tour in 1998, and he contributes much here — including a tough Viet Nam War metal/hip-hop hybrid song “What Good Is a Bomb” with the band 7th Octave. The good songs are really good, but this one is a tough slog because the worst songs are quite tedious. The band miscalculated that the online music download era was further evolved and fans would just buy the best individual cuts — but looking back in hindsight listeners can now do just that. All but the most dedicated should skip this one. Review: New Whirl Odor is one of the the toughest PE albums to come to terms with, because it can sound effete at times but can also be quite effective on songs submerged in a kind of grim, brooding haze. Opinions about it are all over the place. This is cited as the very worst PE album, and also a stronger near-comeback. Really, it ends up somewhere more in the middle. There is a collaboration with techno producer Moby (“MKLVFKWR”) and an 11+ minute cut with a rather laid-back tempo produced by recent collaborator C-Doc (“Superman’s Black in the Building”). There are good intentions all over this album, though it is inconsistent and admittedly comes up well short on occasion (“What a Fool Believes,” “Makes You Blind”). Chuck seems a bit grumpy and off his game on the weaker cuts. Professor Griff summons his most effective rapping in a brief appearance on “As Long as the People Got Something to Say” — one of the songs he also produces. Flavor Flav makes minimal contributions to the album though. That is one reason New Whirl Odor comes across as so serious. This album was made without much in-person collaboration. Instead, with members now living apart all over the country, individual contributions were frequently recorded separately and transmitted electronically for assembly after the fact — an approach that was becoming common for independent hip-hop and electronic music productions. This may not be one of the best PE albums, but it manages to hang in to the middle of the pack and is worth exploring at some point for listeners intrigued by the later years. 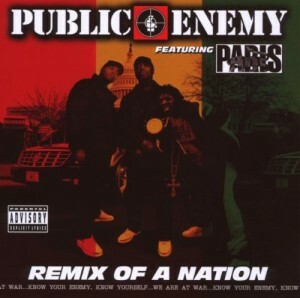 Review: At a time when Public Enemy may have seemed out of ideas, they team up with west coast MC Paris for Rebirth of a Nation. It is a tactic that, in hindsight at least, seems rather desperate. Paris wasn’t exactly at the top of his game at this time either, though he produced the entire album and wrote most of it (Chuck D contributes the odd lyric). Paris despised Flavor Flav, and he is all but absent (Paris took a tape of random nonsense from Flav and worked it in a few places). This is easily the worst album with PE’s name on it. 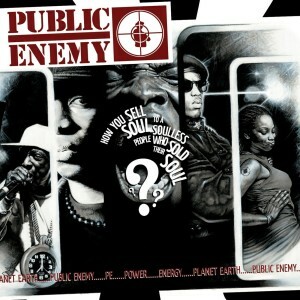 Review: Some consider How You Sell Soul to a Soulless People Who Sold Their Soul??? the best of the later-period PE albums, good enough for people who had forgotten about the band to take notice again. Really, it has some of the very best individual tracks of the later years, though the album is a bit long and has some mediocre and throwaway filler that kind of drags it down a bit. “Harder Than You Think” was a belated hit in the UK in 2012, thanks to use in a BBC Channel 4 commercial for the Paralympics. There are a few re-released cuts from Flavor Flav’s solo album HOLLYWOOD, most of which are terrible except for the surprisingly candid autobiographical account of being sent to jail, “Bridge of Pain.” On the whole, though, this accumulates more crackling energy than on any PE album in more than a decade. Songs like “Escapism” and “See Something, Say Something” find Chuck D as relevant as ever. 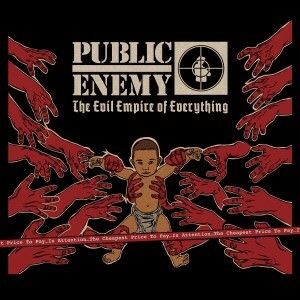 Review: After Occupy Wall Street brought the kind of righteous critique of power that Public Enemy long excelled at back to the fore, the group was ready to deliver. 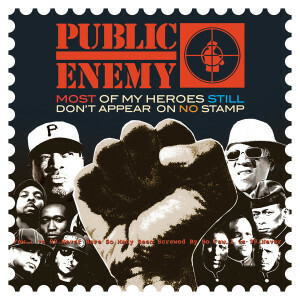 And they did deliver with Most of My Heroes Still Don’t Appear on No Stamp. Released almost in tandem with The Evil Empire of Everything, the recordings were partly made with “crowdfunding” — though only after the group scaled back their fundraising expectations after being criticized for being unrealistic in their initial goals. This is a minimalist set of beats, but it suits the music. The key is that the beats have a forward momentum that ratchets the intensity just like the best PE tracks of old. Chuck D doesn’t deny his age and role as an elder statesman of hip-hop, but he also adeptly taps into the growing public awareness of social injustices that came about following the 2007-08 financial crash. But this isn’t all about Chuck. There are key guest contributions. DJ Pain 1 lends some sick scratches on “Hoovermusic”. Large Professor produces “Catch the Thrown.” Everybody in the band is in sync in a way that hadn’t been maintained across an entire album in about two decades. If there is one late-period album that should creep into the conversation about PE’s best albums, this is it. Review: Released less than three months after Most of My Heroes Still Don’t Appear on No Stamp, The Evil Empire of Everything is a much wider-ranging and daring effort, even if it also ends up being more uneven. Chuck D sing-speaks his way through an R&B song (“…Everything”). 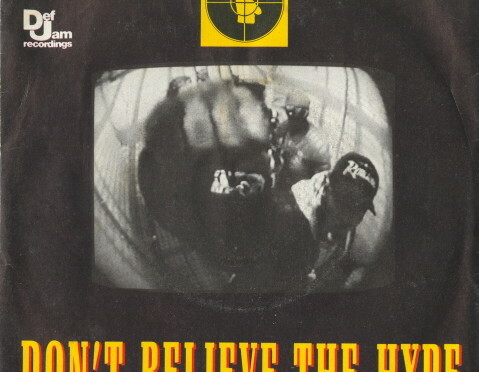 There are throwbacks to the classic PE sound (“Say It Like It Really Is”). And some of this continues where Most of My Heroes left off (“Don’t Give Up the Fight”). Looking back, one has to wish that the few best tracks here replaced the one or two worst on Most of My Heroes to make one album to rival the band’s very best. Still, this is a decent one from a time when PE continued their late-career surge in relevance. Review: Chuck D has repeatedly been called an “old man” for his raps since the year 2000. 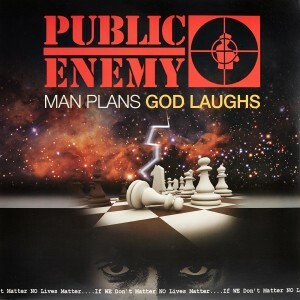 Those criticisms always seemed a bit off, but they might apply, finally, on Man Plans God Laughs. There are some good songs, especially “Me to We,” the melodic “Honky Talk Rules” (built on the Rolling Stones song “Honky Tonk Women” in a recognizable way much like “He Got Game” or any Jay-Z hit), and even the opener “No Sympathy From the Devil” (with its highly digitized production). But much of this album is dreadfully boring. 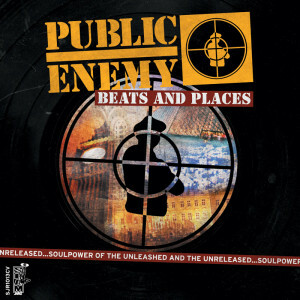 Believe it or not looking at the amateurish cover art, Chuck D started a graphic design company around this time. Despite the few good individual songs, this is a lesser PE effort. One surprise, though, is that Terminator X returned to the band after a decade-and-a-half absence. 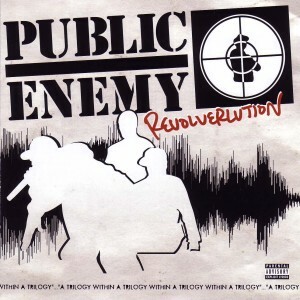 Review: Public Enemy has always supported the concept of remixes. Remixing their own music was only a small step from their tactic of sampling recordings to make their original hits. One remix stands above most others though. “Shut Em Down (Pe-Te Rock Mixx)” by Pete Rock, who would find great success with the similar sound of the following year’s Mecca and the Soul Brother, blends the toughness of Chuck D (the speed/tempo of his vocals slowed down a bit) with mellow, bass-heavy grooves. This was a very different sound from typical Bomb Squad productions. But it works. In fact this exceeds the original. If most of the band’s remixes — and there are whole albums worth — seem to be of marginal interest, this one rises above as a shining example of how remix collaborations can come together wonderfully. Personnel: CD, FF, TX, BS, ?? Review: At the height of the band’s popularity, they confused many by releasing this collection of outtakes, remixes and live cuts — comparable perhaps to Bob Dylan frustrating his fans’ expectations with Self Portrait. Really, this move obscured tensions and strife in the band that made it difficult to record new material. But in spite of the unusual format, there is much to like here. If this doesn’t match last three classic albums, in hindsight, it has a lot in common with that prior material and is a worthy remnant of PE’s heyday for listeners who have already heard the classics. 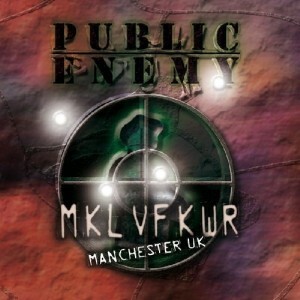 Review: Public Enemy has always endorsed the concept of remixes. They have released a fair amount. But Bring That Beat Back is their first album of all remixes. The results are tepid, unfortunately. Yet “Watch the Door (Warhammer on Watch Mixx)” really cooks — it is vastly superior to anything on the Rebirth of a Nation album the source material was drawn from. Review: A collection of outtakes, odd live cuts, recent singles, and the like — making this reminiscent of Greatest Misses. Johnny Juice produced a lot of this. Even as this looks like a throwaway for only the most obsessive fans, it actually is much better than that. There is a blues track (“Like It is”), some more club-style stuff (“Electric Slave”) and the live material is decent (“Do You Wanna Go Our Way???”). Not their best, but a good one from the later years. 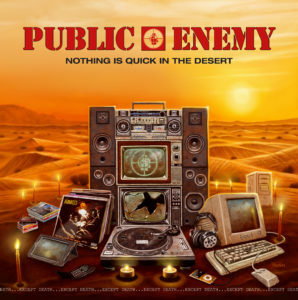 Review: This was the seventh album released by Public Enemy over the two year period of 2006-07.
Review: Live hip-hop albums aren’t all that common for good reason. Sample-based music demands painstaking and tedious precision. It is not easy to deliver in live concert settings. DJs take on a more prominent role in live performances, but they can only do so much, and their efforts are sometimes so ephemeral and dependent on the mood developed with the audience that if recorded and later played back they don’t impress. The rise of live instrumentation in hip-hop changed that calculation, at least for bands willing and able to offer new improvisations and arrangements of studio-developed cuts. 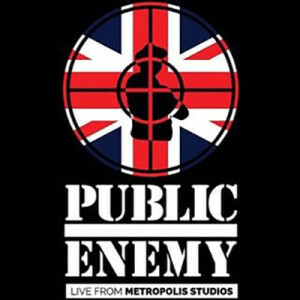 PE’s late-career Live From Metropolis Studios relies heavily on The baNNed to offer live-instrumental versions of songs from their entire career. Guitarist Khari Wynn was a major addition to the group in the later years, and his playing really adds dimension to the music. Many of these songs (despite lack of indication in the titles) are actually medleys. This is a different side of PE’s music from the classic 1980s/90s albums. Yet the band is ace and this music deserves to be considered as substantial part of PE’s legacy. 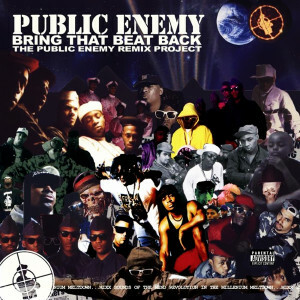 A non-exhaustive selection of key collaborations, appearances and contributions to works released without the name Public Enemy in the top billing. 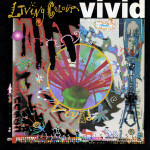 Living Colour guitarist Vernon Reid guested on Yo! Bum Rush the Show, and so Chuck D and Flavor Flav returned the favor by appearing on Vivid. This sort of reciprocity would happen a lot through the years. 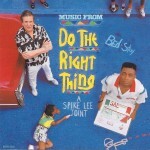 PE got a big boost by recording the song “Fight the Power” for director Spike Lee‘s surprise hit Do the Right Thing. The song is played over and over again in the film. Lee also directed the music video for the single — this was close to the peak for music videos as a music promotional/marketing tool. The group had some momentum from It Takes a Nation of Millions to Hold Us Back, but this took them further towards being a household name. 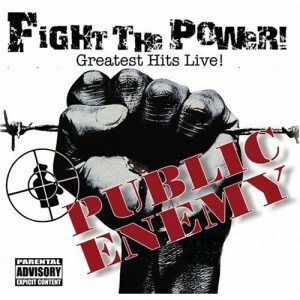 “Fight the Power” later showed up on Fear of a Black Planet, but the single was already a hit the previous year. 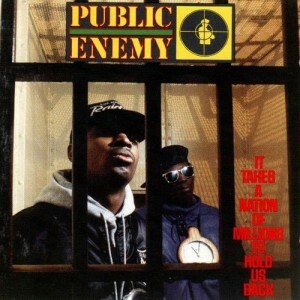 Many listeners know Public Enemy precisely because of (and maybe only because of) the song. 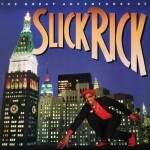 Considered a “golden age” hip-hop classic, half of the songs on The Great Adventures of Slick Rick were produced by Hank Shocklee and Eric Sadler (soon to be named The Bomb Squad). Slick Rick was known as a rapper with a “storytelling” style, which was quite different from that of Chuck D (or Flavor Flav), and he had a flamboyant persona. 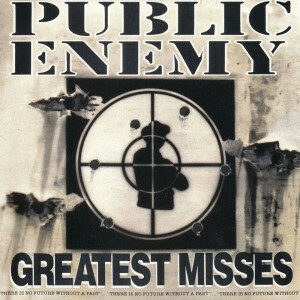 The deeply misogynist lyrics on this album serve as a useful reminder of why Public Enemy was considered a “conscious” hip-hop act, even if sometimes PE’s lyrics in the early days seem like they could be more conscious than they are. This is also a useful reference point to show how advanced the production was on It Takes a Nation of Millions to Hold Us Back, released earlier the same year. In the end, this album doesn’t quite live up to its reputation, due to inconsistency, and the Bomb Squad tracks aren’t necessarily the best. Another Bomb Squad production by Hank Shocklee, Keith Shocklee and Eric Sadler. 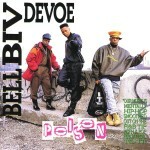 Bell Biv Devoe was being neglected by their label so The Bomb Squad stepped in to help them develop material. They produced three of the tracks, but not the mega hit title track “Poison.” This blockbuster “New Jack Swing” album is probably the best-selling recording with Public Enemy input. Ice Cube’s solo debut was practically a PE collaboration. Production is by The Bomb Squad and both Chuck D and Flavor Flav do guest spots. 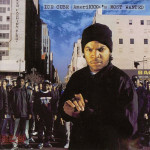 Cube also appeared on Fear of a Black Planet, and later recalled how much of an influence Chuck D and PE were on his songwriting. This amicable meeting of east and west coast hip-hop is a highlight from the heyday of “gangsta rap”. If you’ve exhausted the highlights of the PE catalog, this might very well be of interest. There are also some PE connections to the contemporaneous Ice Cube EP Kill at Will. PE had a knack for appealing to rock audiences. That partly stemmed from an affinity for rock music samples, especially heavy metal (Slayer, etc.). Their label Def Jam fostered the approach. 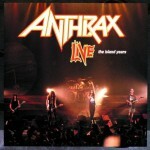 Anthrax lead singer Scott Ian used to wear a PE T-shirt onstage so often that the groups eventually came together. 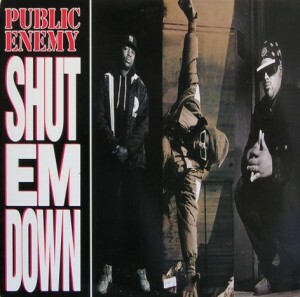 They worked together for a re-recording of “Bring tha Noize” on Apocalypse 91…The Enemy Strikes Black. Live: The Island Years features a version of “Bring the Noise” recorded at Irvine Meadows Amphitheater in Irvine, CA on October 19, 1991. Though burdened by a long intro/medley section, this version is probably superior to that on Apocalypse 91…The Enemy Strikes Black. 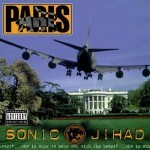 PE guested on a track for Paris’ album Sonic Jihad. This led to the more substantial collaboration on the Rebirth of a Nation album. 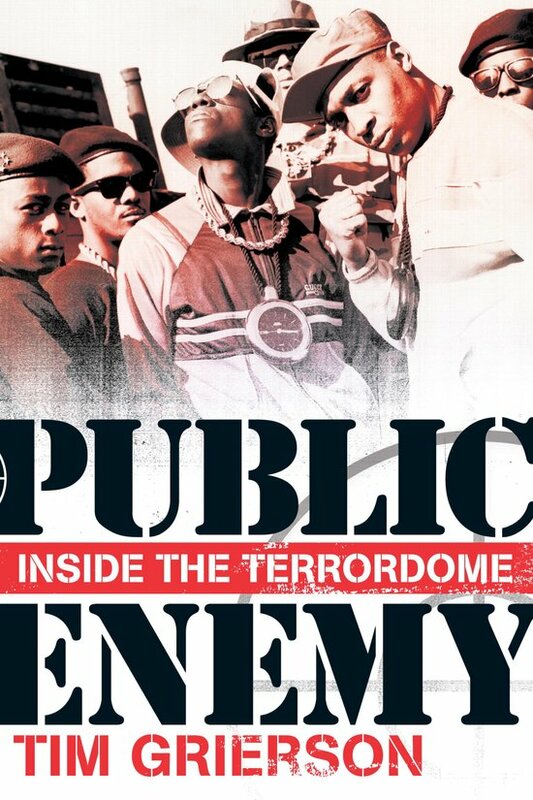 Public Enemy: Inside the Terrordome, Tim Grierson (Overlook Press, 2015) – Solid overview of most of the group’s career. This makes an effort to cover the later years sympathetically. The book’s only limitation is that the writing can be a bit stiff — particularly in the early chapters — as the author strings together previously published quotes and tries to give attribution to each one. An advantage of this “unauthorized” account is that the author is willing to call out issues with homophobia, misogyny and other less enlightened attitudes that have cropped up in the music, and give a little more time to the Hank Shocklee version of the band’s history than the “authorized” Russell Myrie bio. 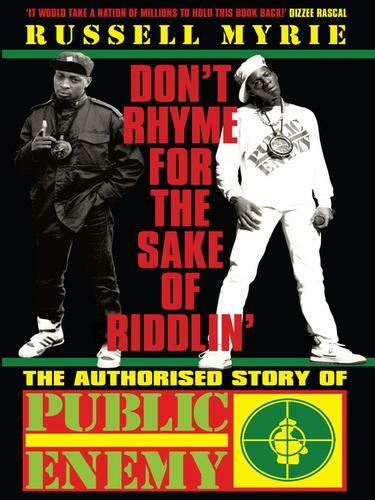 Don’t Rhyme for the Sake of Riddlin’: The Authorized Story of Public Enemy, Russell Myrie (Canongate Books, 2009) – An “authorized” biography that stops short of covering the group’s later years, occasionally drifts into fawning praise, and privileges Chuck D’s version of the group’s history. 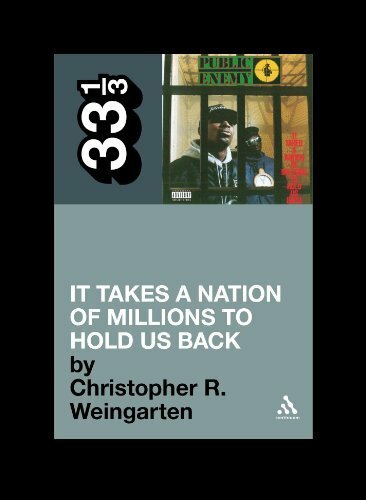 It Takes a Nation of Millions to Hold Us Back (33⅓), Christopher R. Weingarten (Continuum, 2010) – An entire book about the album It Takes A Nation of Millions to Hold Us Back, which details the sampling technique, itemizes the sources of some of the key samples, and goes into the historical backstory of the samples to contextualize their use on the album. This will likely add some new perspectives that may further the experience of listening to the album. It manages to offer much more than the limited scope seems to suggest. 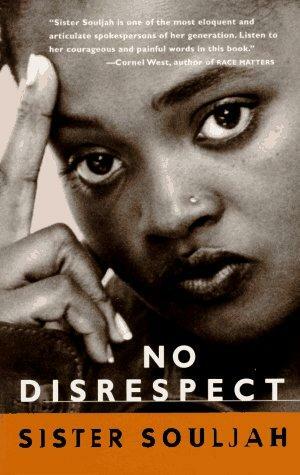 No Disrespect, Sister Souljah (Crown, 1994).